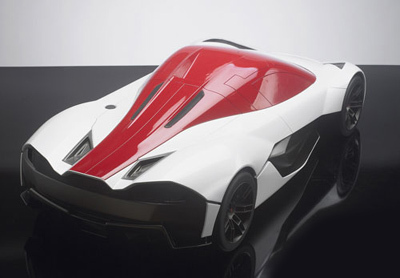 The McLaren M Eleven B concept was the winner of a design competion by McLaren for final year students of Transport Design at IED (Istituto Italiano di Design) in Turin, Italy. 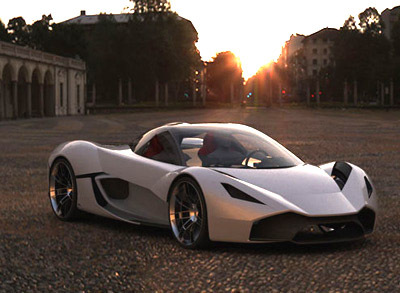 The brief was to design "A 320 km/h plus sports car" for McLaren, and the car should provide the owner Formula 1 technology for the road and superb dynamic and aerodynamic performance. 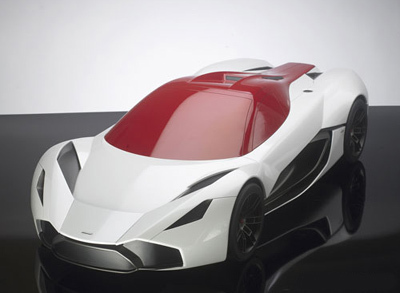 The 39 IED students were divided into 14 groups, each presenting a proposed McLaren supercar as a 1:4 scale model. The McLaren M Eleven B came out as the overall winner, its designers used a wide variety of inspiration, from the animal world to aircraft and racing motorcycles. Constructed from carbon fibre the McLaren M Eleven B would benefit from Formula 1 style lateral vents, undefloor aerodynamics and exchangeable body panels which could be swapped in favour of more track-biased components.